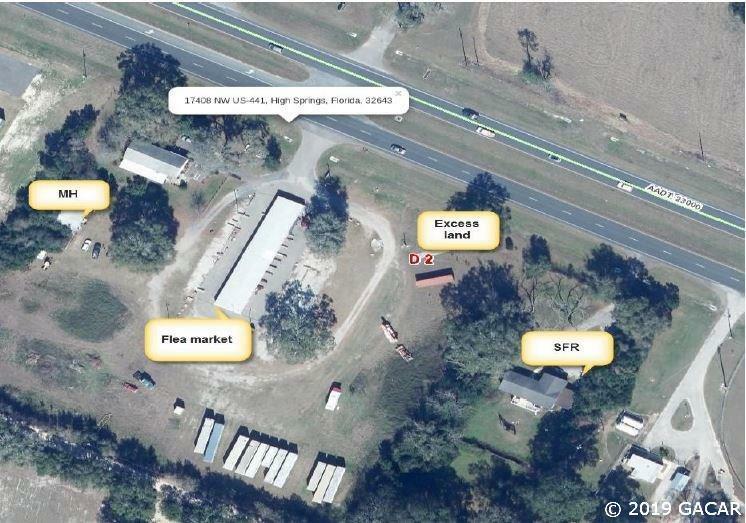 3.88 acres with frontage on US 441 just a couple miles east of downtown High Springs. Four parcels total that include two mobile homes, a detached SFR, and a non-income producing storage facility with approx. 36 units. The storage facility is not fenced and the units will need some modifications and updates in order to produce income.